Chop the cabbage into 1/2-1" strips. Let them sit in cold water for about 5 min for crispness. Sear the tofu on a pan. 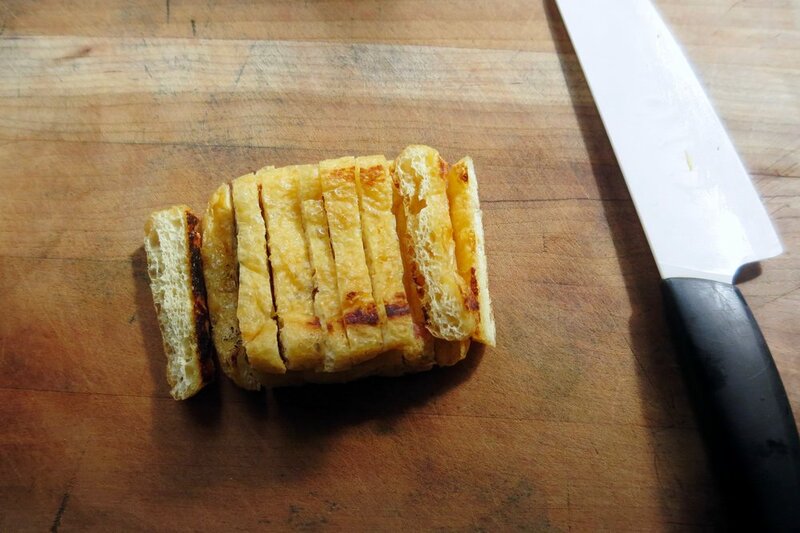 Cut into 1/2-1" strips or cubes. 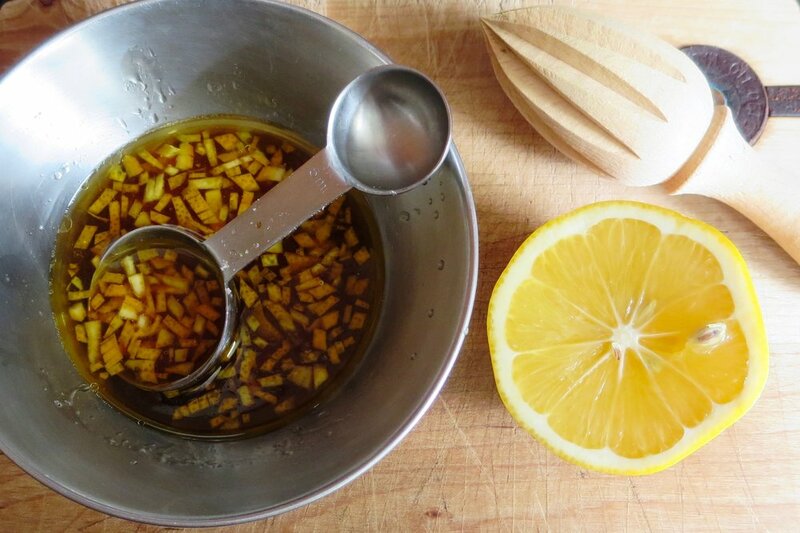 Mix the dressing ingredients including thin slices of lemon skin. Toss the well-drained cabbage, tofu and dressing. 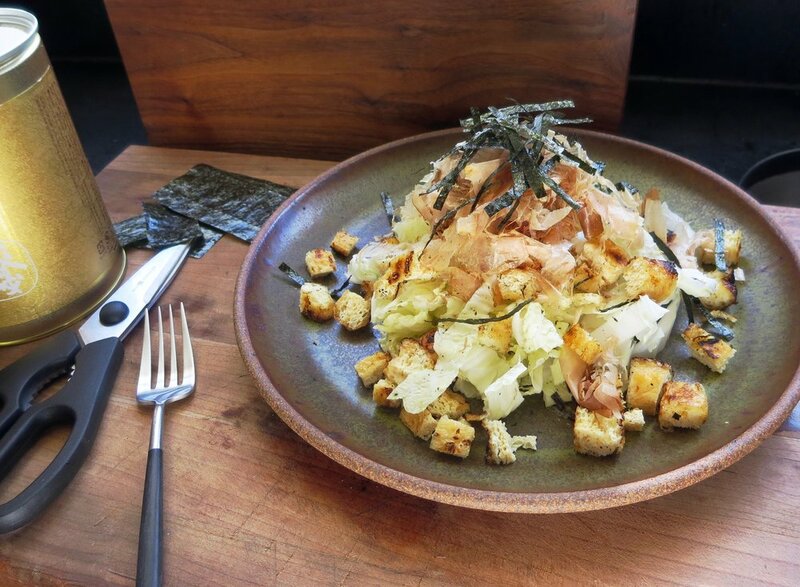 Serve bonito flakes, sesame and thin stripes of nori on top. Fried Tofu pouches are also sold under the names Sushi Age Tofu or Abura Age. They are typically found in the tofu section at supermarket. The inner leaves of cabbage are sweeter than the outer leaves. Napa cabbage can be substituted with romain lettuce that has a similar mild sweetness.